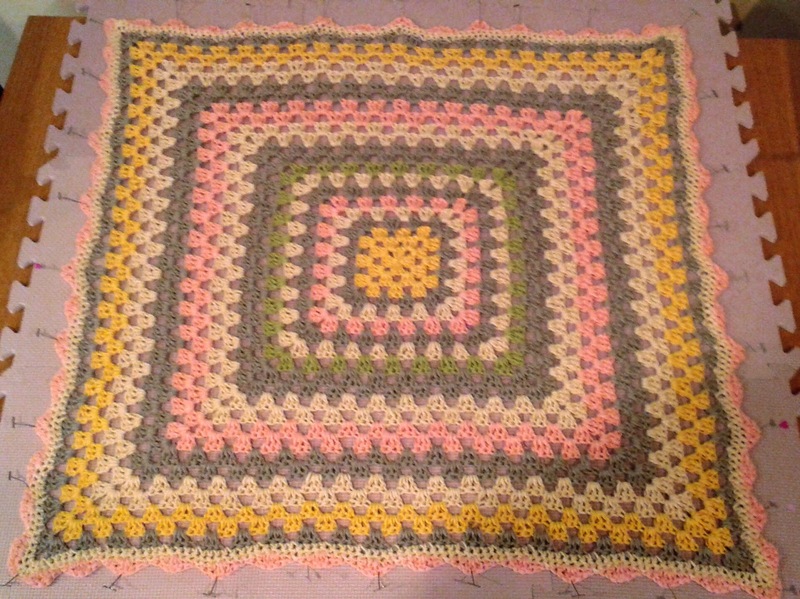 Made this with my teaching yarn for a sweet teacher at school who has had a baby girl. Took no time with the repeating shells. Sewing the ends too a while. Put a scallop on the edge.